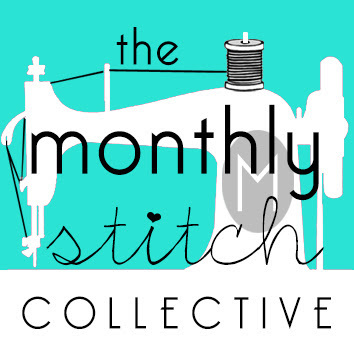 Along with Me Made May, I also enjoyed Sewing Indie Month all through May. Organized by Mari at Seamster Patterns, it highlighted a handful of indie companies, some of whom were new to me (including Mari herself). I had a lot of fun scrolling through all their websites and enjoying all the inspiration. 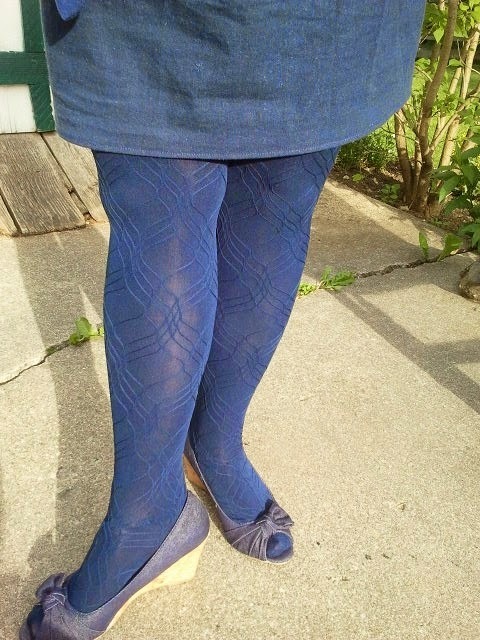 I bought Seamster's Rose Hip Tights pattern and love it. I've already made 2 pairs and have cut out another -- and will review it properly soon. 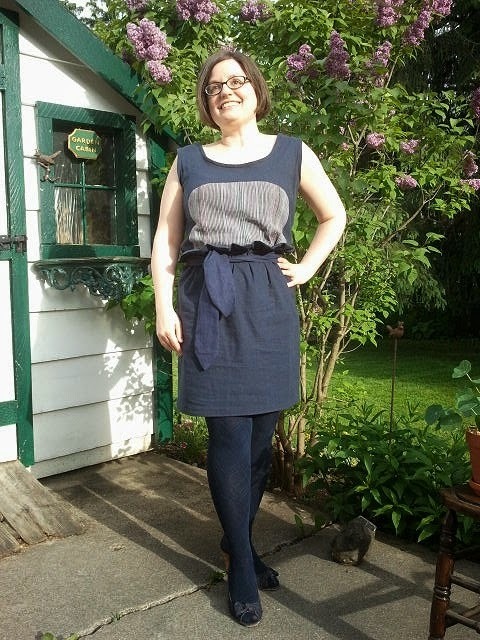 I downloaded By Hand London's free Polly Top (fully reviewed earlier), and realized that I could enter the Sewing Indie Month's "Indie Love Affair" contest by putting these together with a skirt. 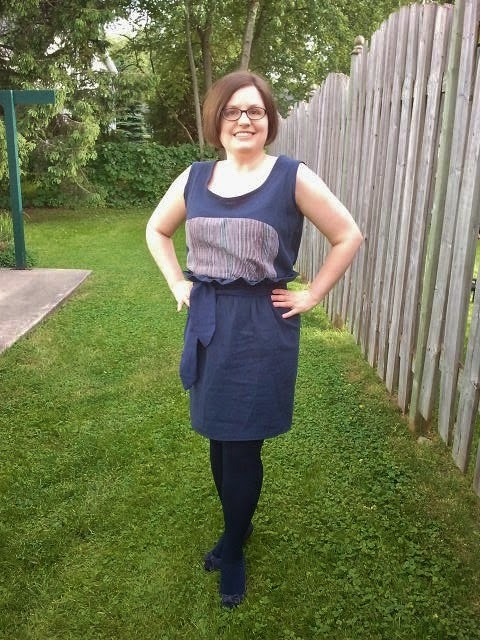 I pondered a few different patterns, but ended up going with Sew Caroline's tutorial on making a paper bag skirt. 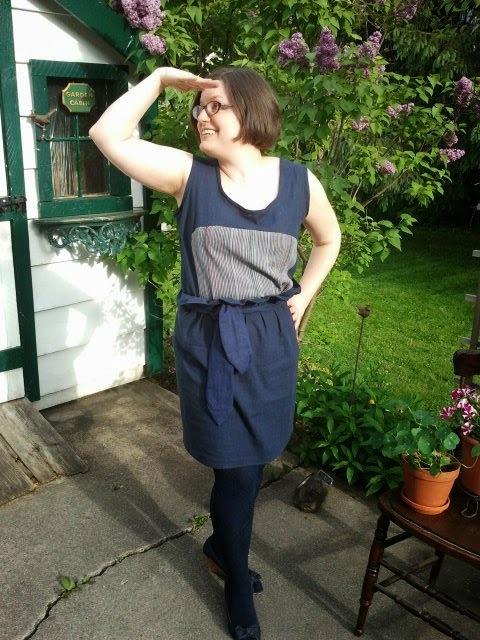 I wasn't sure how this would look on me, but I thought it was cute, and just right for the navy linen which I had left from making the Polly Top. I must say, I really enjoyed the great instructions for all three of these garments, and how much fun it was to put them together into one outfit. Without further ado, here is my complete outfit made from three different Indie companies. Rose Hip Tights. I like to call this my Linen Blend. Back view. I really like that ruffle! Rose Hip Tights. A perfect stretch. Thanks Rhonda! I already have plans for at least 3 more fabric choices....love this pattern. This is a lovely outfit! 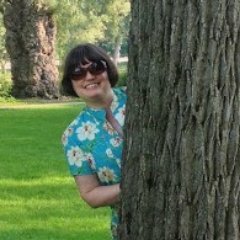 I especially love your top :) Well done, Melwyk!